I've been 'grandson sitting' this week. Ben's mum and dad were very busy for a couple of days and it was half-term so I had the pleasure of Ben's company for a while. Now I enjoy viewing 'Futurama' and I can tolerate short sessions of watching my grandson operate his playstation but needless to say we managed a couple of fishing trips to save my sanity. 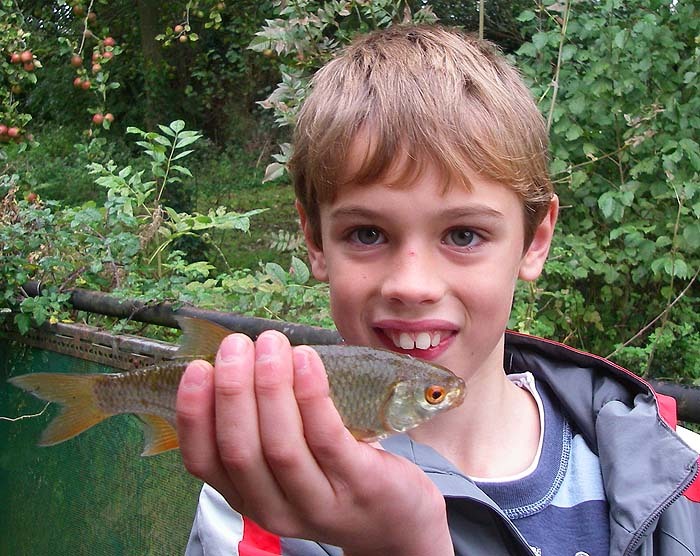 After a blank at a local carp lake (Ben's not keen on carping - it's too slow) we bought a few maggots and went to the river. The flood water was just beginning to fine down so the number of potential fishing spots was a bit restricted. We opted to fish in a millstream off the main river, where flows were a bit less fierce. 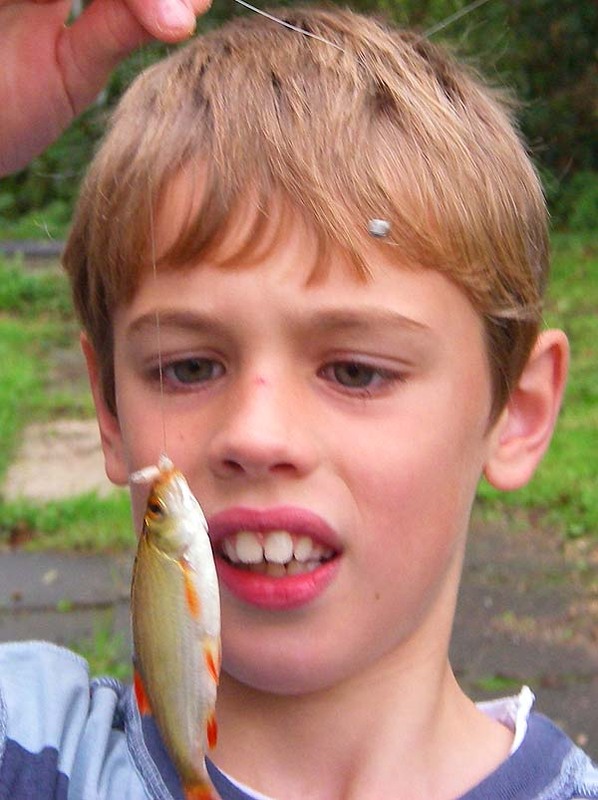 At the first swim I flicked a few maggots into a nice glide and Ben cast his float in. Down went the float and up came a cracking dace. An excellent start. Much better than waiting hours for a carp to reject our lump of crust. After one or two smaller dace we shifted to a slack. 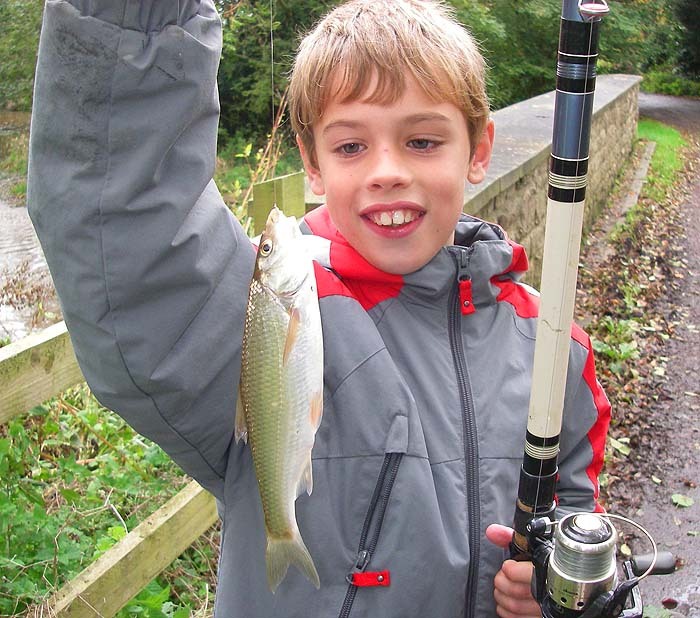 Ben landed a couple more dace then a roach. Wonderful! Two or three more dace then the minnows moved in. Several times minnows were lifted from the water clinging to the end of the maggot but they all dropped off. The last fish from the slack was a tiny, golden glowing rudd. A second move took us to a little weir pool with a fast flowing race but we only caught a couple more dace before it was time to pack in and go for tea.